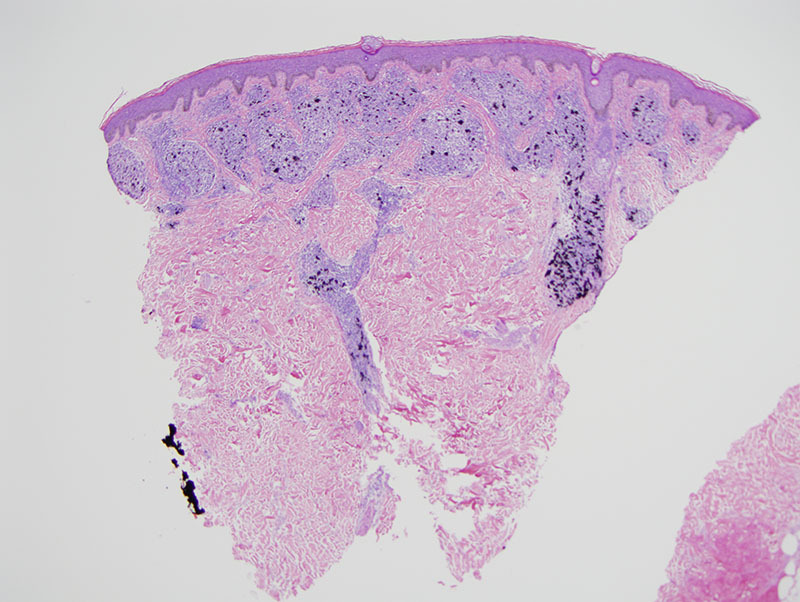 The findings are characteristic for a sarcoidal koebnerization of a tattoo pigment. 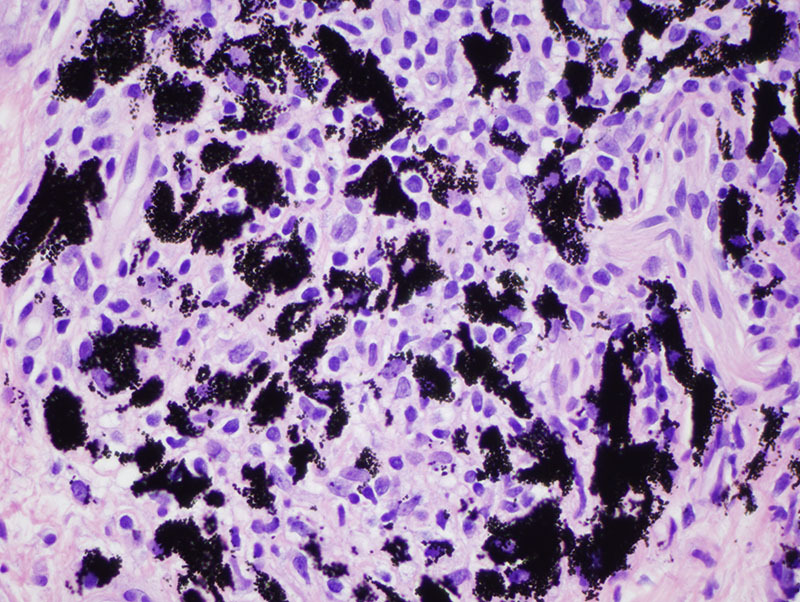 It is well established that patients with systemic sarcoidosis can koebnerize tattoo pigment with a sarcoidal granulomatous diathesis. 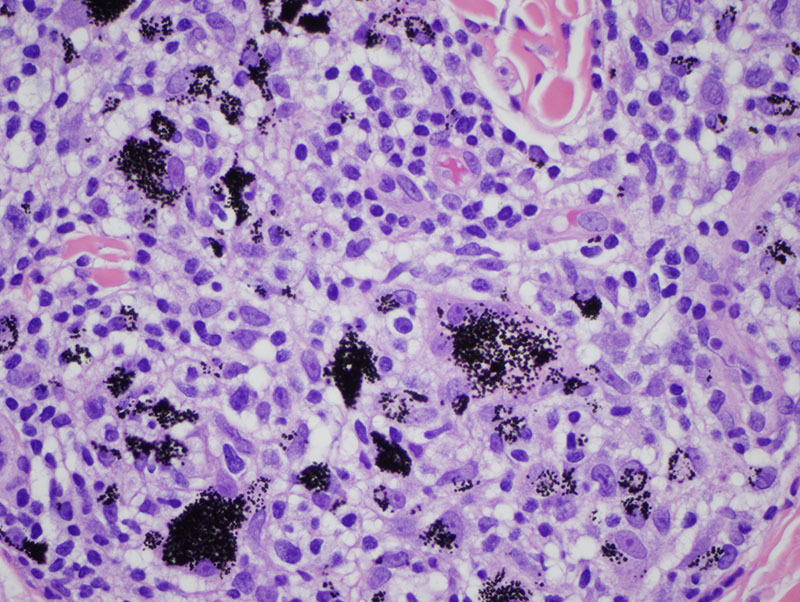 This patient has a history of severe pulmonary hypertension whereby a strong index of clinical suspicion exists for sarcoidosis. 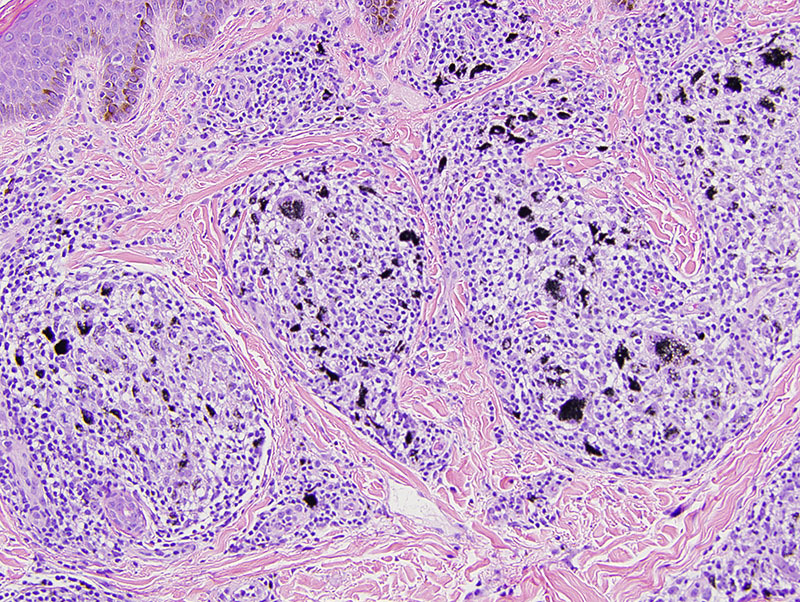 The localization of the sarcoidal reaction to the black carbon pigment is highly characteristic for sarcoidosis whereby the development of a nodular lesion in a black tattoo associated with a sarcoidal diathesis histologically is virtually diagnostic of sarcoidosis. Furthermore, concomitant inflammation of the uvea is also a feature of black carbon tattoo associated sarcoidosis. There is one other reported case to suggest that the inflammation in the uveal tract may be part of a rush phenomenon precipitated by the immunologic response triggered by the tattoo pigment.